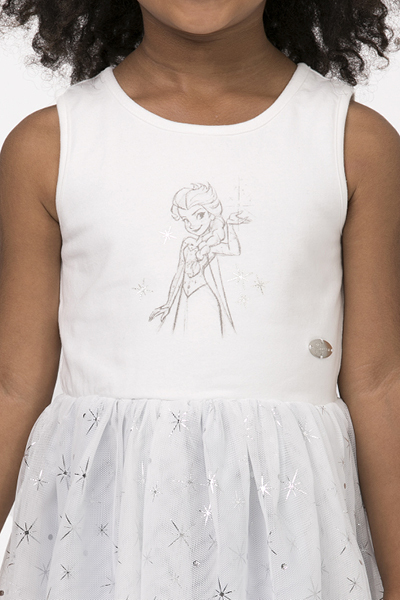 Combining the elegance of ballet and the beloved character Elsa from Disney’s Frozen, this collection encourages girls to shine bright and follow their hearts. In cloudy whites and airy blues, accented with silver, the range pairs the comfort of cotton jersey with the glamour of tulle and sparkle. 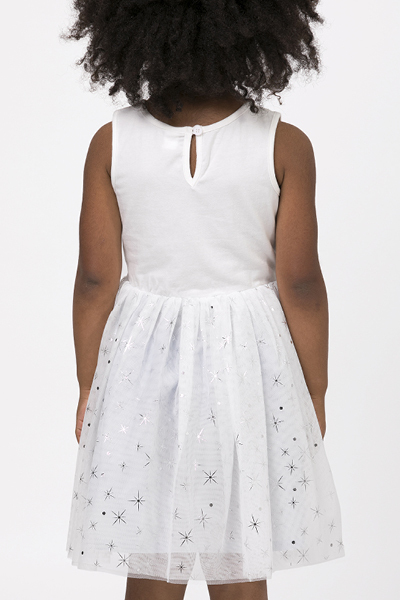 Let your little one shimmer and shine with this glittering Frozen Shimmer Dress, featuring a soft tulle skirt and keyhole back. She won't want to take it off! Materials: 95% cotton 5% elastane jersey 180gsm. One-colour water-based print with silver metallic print. Cotton voile lining 65gsm. 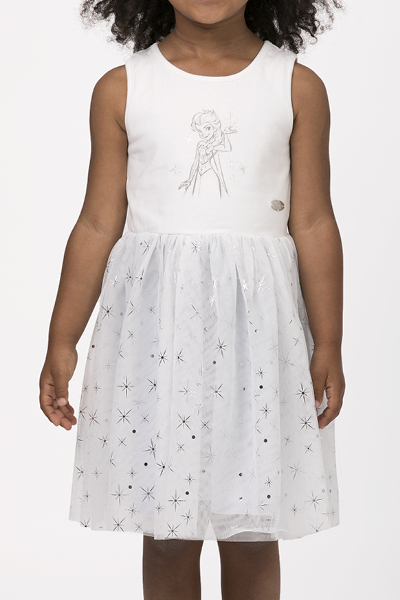 2 x layers 100% polyester mesh with metalic foil-print detail. Satin sew-in label.